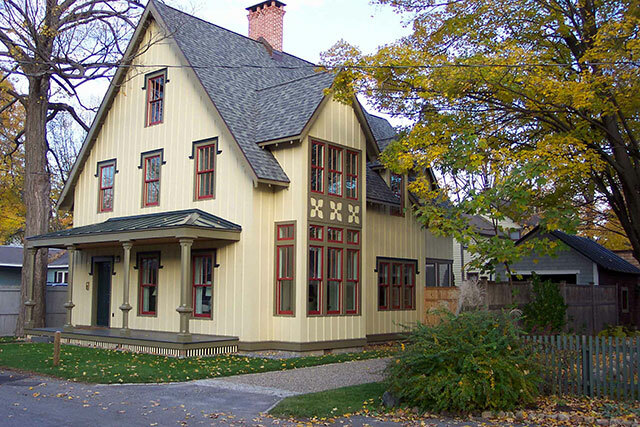 A Gothic Revival cottage at 2400sf, this house sits comfortably on a very small lot with pre-existing detached garage, private garden and swimming pool. It serves as a showcase for a rich collection of American antiques, paintings, and framed documents. With three bedrooms and a study along with 2.5 baths, it is substantial yet compact and practical. The facade, in board-and-batten, is painted in correct Victorian colors. 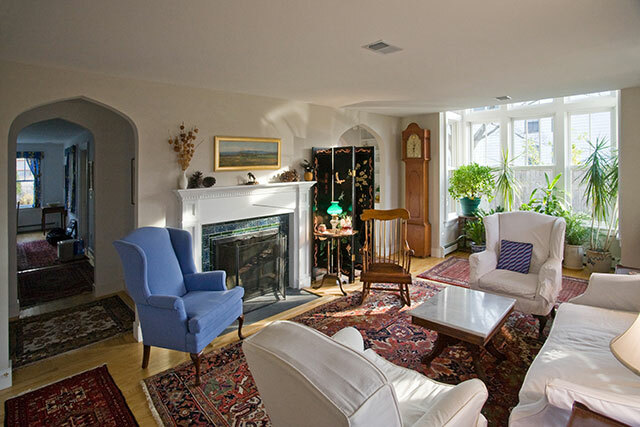 The living room has two focal points: the wood-burning fireplace surrounded by green and blue glazed tile manufactured by L’Esperance Tile Works in Rock City Falls, N.Y., and the “Winter Garden,” a bay window with high clerestory to admit the maximum winter light. The kitchen is simple and practical, with a walk-in pantry and a breakfast area overlooking the pool and garden. 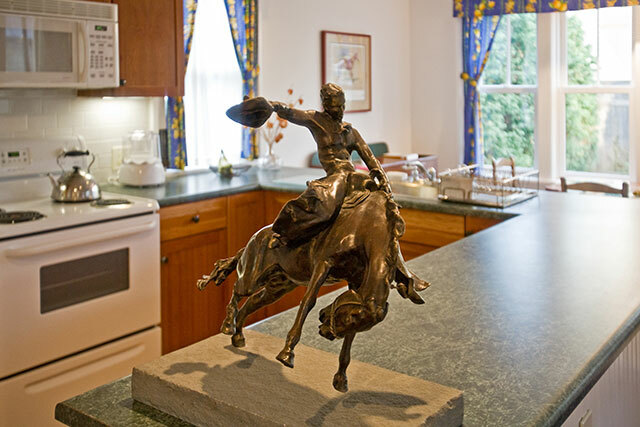 The foreground sculpture is “Taming of a Horse” (1929) by Eleanor Iselin Wade. 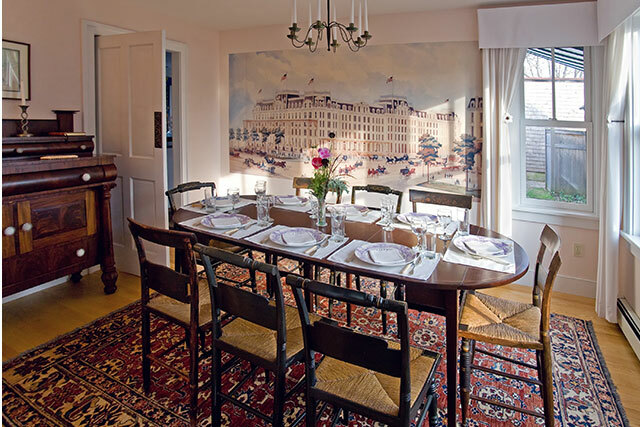 The Dining Room is graced by wallpaper representing the United States Hotel (1874-1946) that once anchored the center of the city. 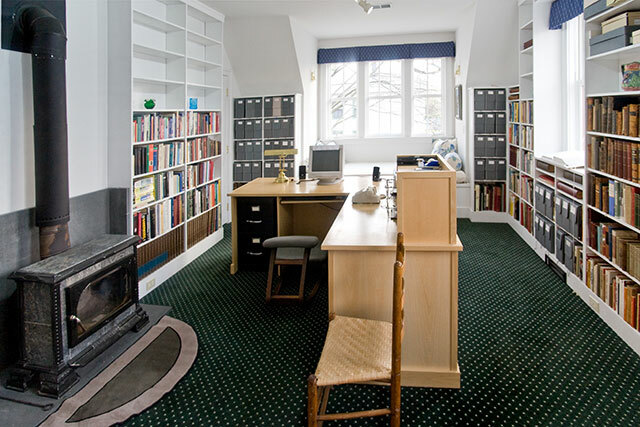 The study was designed for the owner, with plenty of room for additions to his library. 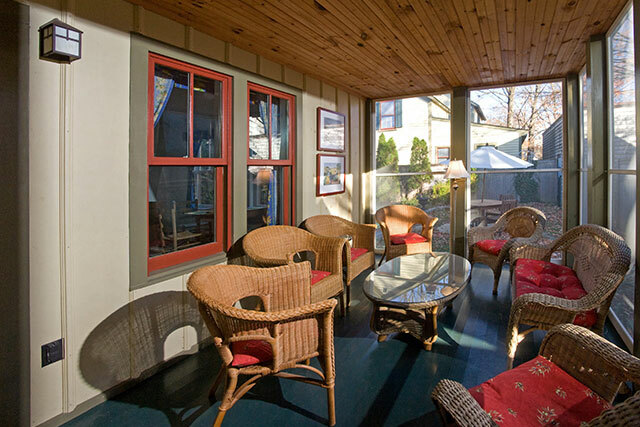 The south window bay holds a daybed that is useful as an additional guest space. The screen porch is large enough for eight, and is inset in the house’s form, with the master bedroom above.